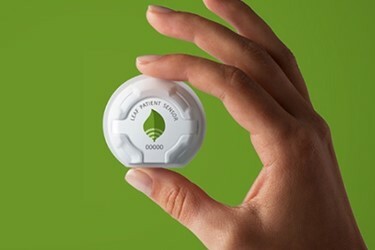 Smith & Nephew Acquires Developer Of Unique Pressure Injury Prevention Device, Leaf Healthcare, Inc.
Smith & Nephew plc, the global medical technology business, recently announces that it has agreed to acquire Leaf Healthcare, Inc, the developer of the unique Leaf Patient Monitoring System for pressure injury prevention and patient mobility monitoring. The transaction follows Smith & Nephew’s successful two-year partnership with Leaf Healthcare as an exclusive distributor and strategic investor. The Leaf Patient Monitoring System is comprised of a small, lightweight, wearable sensor that wirelessly monitors a patient's position and their mobility whilst in a hospital. The tracking data is used to automate and document the compliance with prescribed turn protocols for patients at risk for pressure injuries. An estimated 2.5 million pressure injuries are treated each year in US acute care facilities alone1, with an estimated annual burden of $11B in the United States2. National Pressure Ulcer Advisory Panel (NPUAP) guidelines recommend a prevention protocol for high-risk patients that includes prophylactic foam dressings, preventative skin care including pH balanced skin cleanser, and patient repositioning with early mobilisation3. The Leaf Patient Monitoring System together with Smith & Nephew’s ALLEVYN◊ LIFE and ALLEVYN GENTLE BORDER and SECURA◊ Skin Care products provide a comprehensive portfolio to help customers achieve and optimise pressure injury prevention protocols. In January 2018, an independently conducted Randomized Controlled Trial (RCT) from Stanford University evaluated optimal patient repositioning and found that the Leaf Patient Monitoring System induced a 43% relative increase in turning protocol compliance in high-risk patients. Patients treated with the Leaf sensor were 73% less likely to develop a pressure injury4. The transaction is expected to close in Q2 2019, subject to the satisfaction of customary conditions, and will be financed from existing cash and debt facilities. The commercial terms have not been disclosed. Smith & Nephew is a portfolio medical technology business with leadership positions in Orthopaedics, Advanced Wound Management and Sports Medicine. Smith & Nephew has more than 16,000 employees and a presence in more than 100 countries. Annual sales in 2018 were $4.9B. Smith & Nephew is a member of the FTSE100. For more information, visit www.smith-nephew.com. 1. Reddy M, Gill SS, Rochon PA. Preventing pressure ulcers: a systematic review. Jama. 2006;296:974–84. 2. Russo et el. Hospitalizations Related to Pressure Ulcers, 2006. HCUP Statistical Brief #64. December 2008. Agency for Healthcare Research and Quality, Rockville, MD. 4. Pickham D, Berte N, Pihulic M, Valdez A, Barbara M, Desai M. Effect of a wearable patient sensor on care delivery for preventing pressure injuries in acutely ill adults: A pragmatic randomized clinical trial (LS-HAPI study). Int J Nurs Stud. 2018; 80, 12-19.